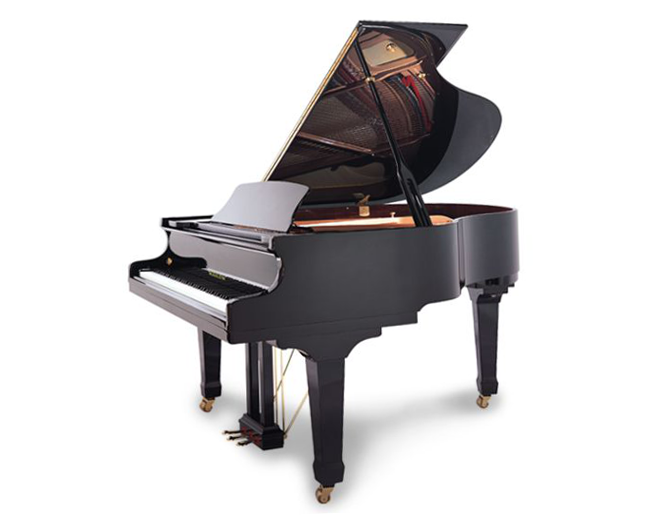 The Hailun 5’4″ HG-161 grand piano has a nicely balanced tone and very expressive dynamics. It is designed as a professional Grand piano with an amazingly big and rich sound for an instrument of its category. While intended for reduced floor space requirements of smaller studios or home, it is built with all of the features of the larger professional grand piano. The lines of the instrument are elegant by design. The HG-161 beautifies any home surroundings while its sturdy construction makes it the perfect small professional piano. Finishes: Ebony Polish, Mahogany Polish, Walnut Polish, Mahogany Satin.